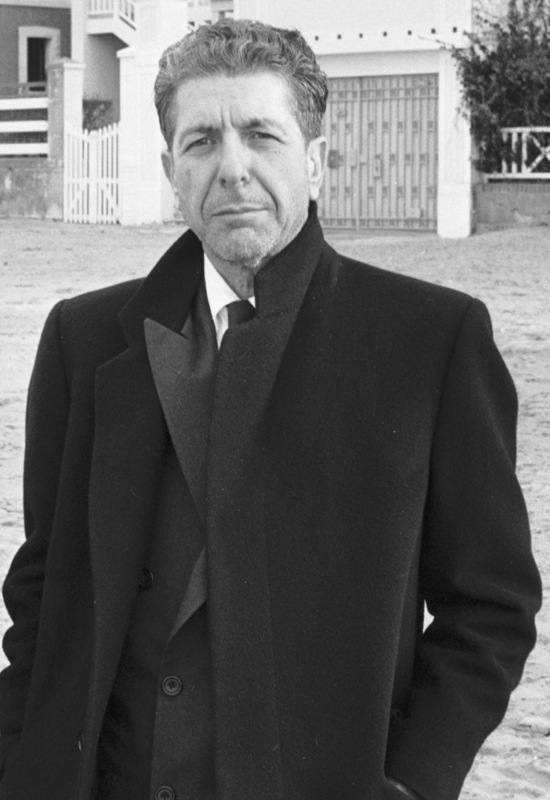 LEONARD COHEN . CHANTEUR CANADIEN . FOLK . TOURNAGE D UN CLIP . AVEC DOMINIQUE ISSERMANN . PHOTOGRAPHE . PLAGE DE TROUVILLE . 26 JANVIER 1988 .